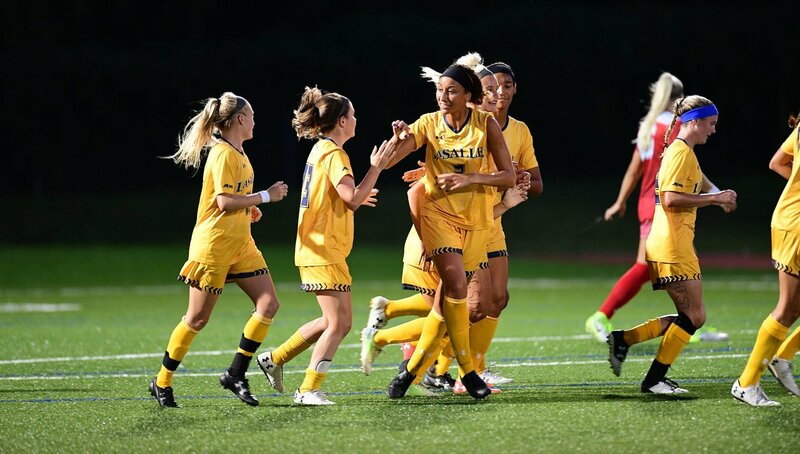 Join the La Salle University Women’s Soccer Elite College One Day Clinic. It is inviting all girls in the 8th grade up to 12th grade. This is a 1-day event on the 6th of August at the La Salle University campus. The training program will run from 10 o’clock in the morning until 2 o’clock in the afternoon. Furthermore, this 1-day clinic will introduce the soccer players to the collegiate level environment. Its design is ideal for outstanding players who aspire to play at the collegiate level. The program also emphasizes player improvement in both the tactical and technical facets of the game. In addition, there will be small-sided and full-sided games that will allow participants to exhibit their skills. Participants will also have the chance get to know the university’s coaching staff and players. La Salle Univesity is a private, Roman Catholic university in Philadelphia, Pennsylvania. Its founder is the Lasallian Brothers, a Christian order who are notable for their vows of poverty, chastity, and obedience. La Salle University is an affiliation of the Roman Catholic Church. In academics, the university is a member of the Association of Catholic Colleges and Universities and also the National Association of Independent Colleges and Universities. The university is also a top-performing academic institution. In fact, it is 34th in Regional Universities North, 2018 edition of Best Colleges rankings. The university is also 18th in Best Colleges for Veterans rankings and 27th in Best Value Schools rankings. Moreover, La Salle Univesity is home to around 3,200 undergraduate students and around 2,800 postgraduate students. In athletics, the university features collegiate teams in the Atlantic 10 Conference of NCAA Division I. They are the Explorers. Head Coach Paul Royal is leading the Explorers women’s soccer program. will be his 15th year at the helm of the team’s coaching staff. Coach Royal is a 3-time Atlantic 10 Coach of the Year awardee. Then, the team’s Assistant Coaches are Jamie Scott and Courtney Niemiec. Coach Scott is at the same time the team’s Recruiting Coordinator. Finally, Kelsey Yaiser is the Explorers’ Volunteer Assistant Coach. Join the La Salle University Women's Soccer Elite College One Day Clinic. It will immerse the players in the collegiate level environment.